There are a couple of ways you can do this. You can either manually exclude certain notes, or exclude all notes from the daily report unless they are otherwise approved. Hover over the note you wish you exclude. Click on the note menu icon (displayed as ☰ on the top right of the note). This is done on a project level, so it must be done on each project you wish to enable this on. To begin enter the project you wish to enable this on. 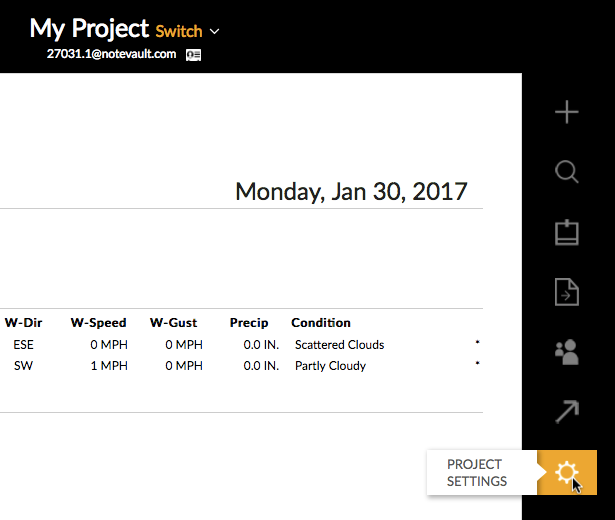 Click on "PROJECT SETTINGS" (displayed as⚙ to the right of the daily report). 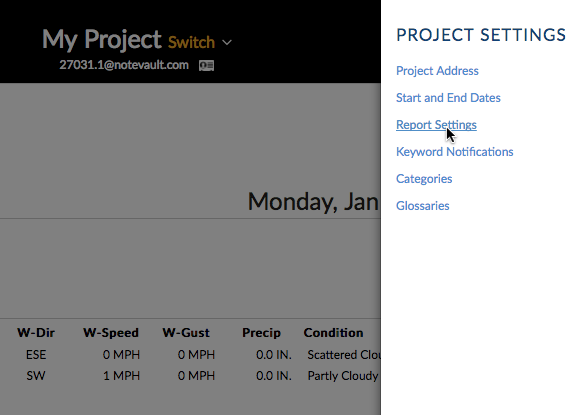 Scroll down to the section called "APPROVAL PROCESS"
Check the box that says "Require approval to include in reports." Automatically, every note will be "Unapproved," and will need to be manually approved by clicking on a blue "Approve" on the bottom right of each note.